President Barack Obama rejected the Keystone XL pipeline proposal after a State Department review of the oil project. 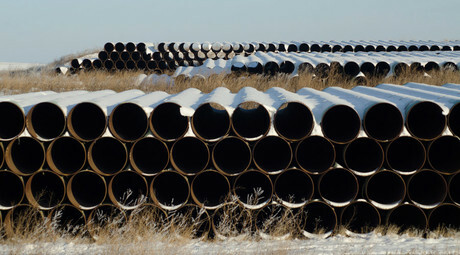 The move comes days after TransCanada, the company that would build the extension, canceled a request for a US permit. The politically charged battle over Keystone XL comes to an end after seven years. Obama initially vetoed the project in February, which the US Senate failed to override at the beginning of March. Obama announced the decision in the White House Oval Office on Friday morning, flanked by Vice President Joe Biden and Secretary of State John Kerry. “This morning Secretary Kerry informed me that after extensive public outreach and consultation with other cabinet agencies, the State Department has decided that the Keystone XL pipeline would not serve the national interests of the United States. I agree with that decision,” Obama said. The pipeline would have moved as many as 830,000 barrels of oil a day over 1,700 miles from the oil sands in western Canada through six US states to Steele City, Nebraska, where it would have linked with existing infrastructure to bring the oil to refineries on the Gulf Coast. Obama outlined three main reasons the State Department chose to reject the project. “The pipeline would not make a meaningful long-term contribution to our economy. So if Congress is serious about creating jobs, this was not the way to do it,” the president said. He called on lawmakers to pass a bipartisan infrastructure plan instead, noting that such a bill would “create more than 30 times as many jobs per year as the pipeline would” and that it would have a bigger long-term impact as well. “The pipeline would not lower gas prices for American consumers. In fact, gas prices have already been falling,” he added, noting that the cost per gallon has dropped 77 cents over a year ago, a dollar over two years ago and $1.27 over three years ago. “Today, in 41 states, drivers can find at least one gas station selling gas for less than two bucks a gallon,” the president said. “Shipping dirtier crude oil into our country would not increase America’s energy security. What has increased America’s energy security is our strategy over the last several years to reduce our reliance on dirty fossil fuels from unstable parts of the world,” Obama said. The president added that he had set a goal three years ago to cut US oil imports in half by 2020, but that the country met that goal in 2014, well ahead of schedule. He also called on the US to further reduce its reliance on fossil fuels, making projects such as Keystone XL less necessary. On Tuesday, TransCanada asked the US to pause its review of the project, which the State Department had already halted once in 2014. “TransCanada believes that it would be appropriate at this time for the State Department to pause in its review of the Presidential Permit application for Keystone XL,” Kristine Delkus, TransCanada’s executive vice president, said in a letter to US Secretary of State John Kerry. However, the government formally declined that request on Wednesday. 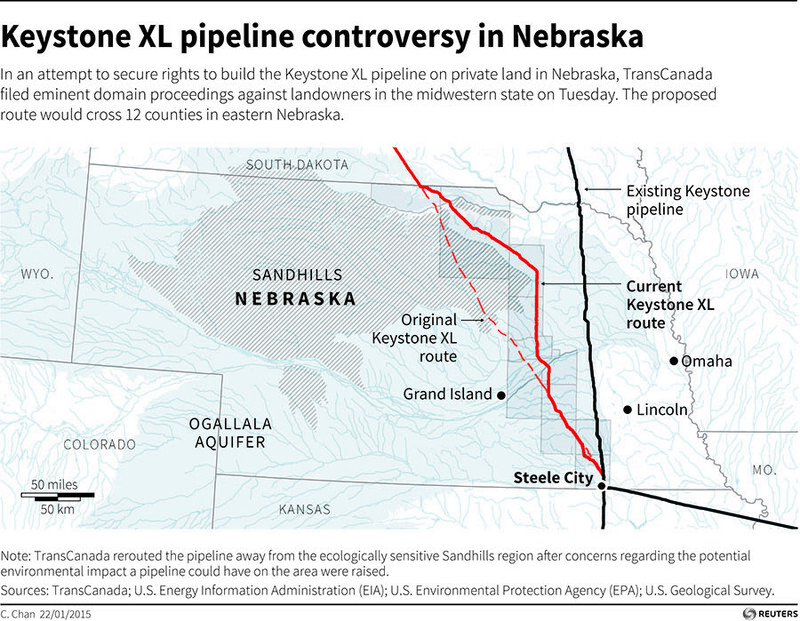 “We’ve told TransCanada that the review process will continue,” State Department spokesman John Kirby said. 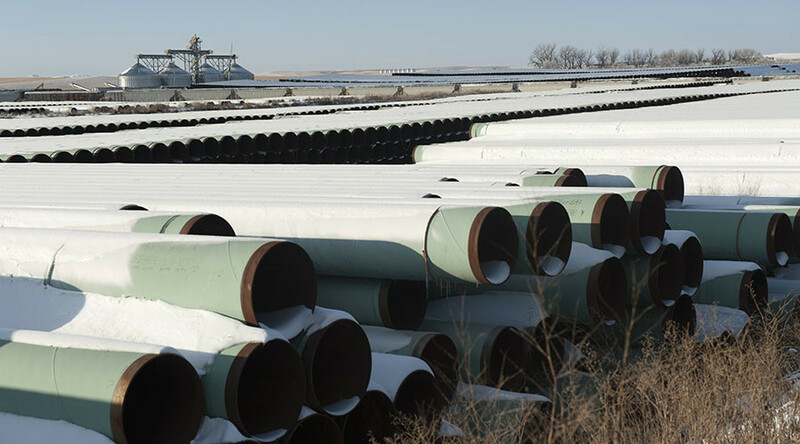 Although critics of the project have said that TransCanada’s request politically motivated in the hopes that the US would elect a Republican president more friendly to the project in 2016, the company has denied those allegations. On the Canadian side, the pipeline also faces an uncertain future with the election of Liberal Prime Minister Justin Trudeau in October, as the new leader is not as enthusiastic about its construction than his predecessor. Before the announcement, Obama spoke to Trudeau, who expressed disappointment, but the two men agreed to deepen US-Canadian cooperation in the future, he said. Obama’s announcement was met round criticism from Republican presidential candidates, saying the decision would hurt the US economy. "The Obama admin's politically motivated rejection of the Keystone XL pipeline is a self-inflicted attack on the U.S. economy and jobs," former Florida Governor Jeb Bush tweeted, while Florida Senator Marco Rubio vowed to approve the pipeline if he wins the White House in 2016, according to Reuters.